Mar Dionasios Joseph II was born on 12 November 1833,in Pulikotil family at Kunnamkulam. In AD 1863, the Church chose him as the Metropolitan of Malankara. In accordance with the decision Patriarch of Anthioc Mar Yakub II ordained him as Bishop in 1865. Through out his life he fought against the anti - Orthodox actvities of foriegn missionaries in the name of reformation and in the end he emerged victorious. The present Orthodox church in India owes much to him for protecting the faith of our fathers. With Mor Gregorius Geevarghese Chathuruthy of Parumala and Mor Athanasius Paulos Kadavil of Aluva, Mor Dionysius engaged himself in the task of rejuvenating the church. He brought about much needed structure to the administration of the Church and started theological seminaries. In 1870, he started a Syriac printing press, Saint Thomas, at Cochin, for publishing Syriac prayer books. At around the same time he started a Church magazine 'Kerala Pathaka' in Malayalam, which was later merged with another news magazine, 'Paschimathara'. Unfortunately this Church magazine was discontinued due to financial problems. But again in January 1892, another monthly, 'Edavaka Patrika' started publication from Kottayam Marthoma Press.During his tenure as Malankara Metropolitan, a large gathering of Roman Catholics from Goa, joined the Suryani Church. Fr. Alvarez, a member of this group, was later consecrated as Metropolitan Mor Yulios by Mor Dionysius in 1889. Due to the influence of Metropolitan Mor Yulius, another group of Roman Catholics from Ceylon and America too joined the Suryani Church. Their leader Fr. Rene Villate was ordained as Metropolitan Mor Timotheos in 1892. He also started a new Seminary at Kottayam (M.D Seminary) along with an English medium school. He had great care for the comming generations and this made him start new schools through out Kerala. After serving the Church through turbulent days for more than half a century, Mor Dionysius died at the age of 76 on July 11, 1909 and was entombed at the Old Seminary Church, Kottayam. Served as headmasters of this school. Mar Dionasios Geevarghese was born in Vattaserill family at Mallapally on October 31, 1858. He was ordained deacon by H.H Peter III, the Patriarch of Antioch, on October 12, 1876 and priest by Mar Gregorios Gheevarghese of Parumala on January 18, 1880. He served the church as a Malpan (teacher) at Parumala Seminary and later at Old seminary. In 1903 the church elected him as the successor to the then Metropolitan of Malankara, Mar Dionasios Joseph II. He was consecrated bishop by the Synod of Antioch presided by Patriarch H.H Abdullah at Jerusalem May 31, 1908. Following the death of Mar Dionasios Joseph II in 1908, he became the Metropolitan of Malankara. He effected the Restoration of the office of Catholicos of East which existed in Persia. This was in September 15, 1912. Thus the Malankara Church became truly autocephalous and was able to regain the independence enjoyed by the church in early centuries. He was the chief architect of the Constitution of Malankara. After fulfilling his mission he returned to heavenly abode on February 23, 1934. He was officially declared a saint by H.H Moran Baselios Mar Thoma Mathews II on February 23, 2003. May his prayers be with us. His Holiness Baselius Geevarghese II of the Indian Orthodox Church (1874–1964), the Third Catholicos of Malankara and Malankara Metropolitan, was born to Ulah-anan and Naithi of the Kallaserri family in Kurichi, Kottayam India on 16 June 1874. On 24 April 1892, Kadavil Paulose Mar Athanasios ordained him as deacon and on 24 November and 27 November 1898 he was ordained as priest and Ramban respectively by Parumala Mar Gregorios. 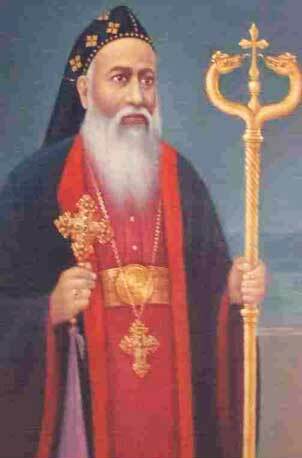 He resided in Kadambanad church and took charge of the southern dioceses of the Indian Orthodox Church. He also served as Manager and Malpan of the Old Seminary. 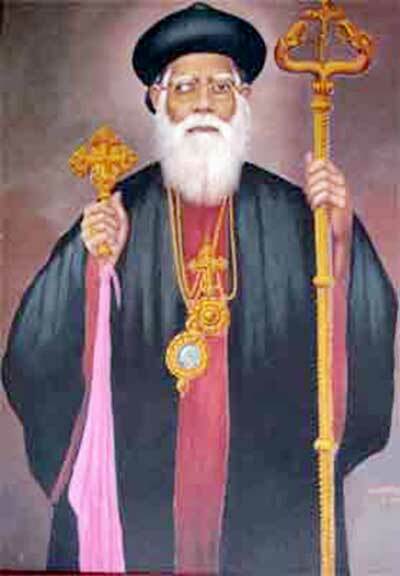 His Holiness Gheevarghese Mar Baselius II Catholicos was the first Catholicos who shifted residence to the Catholicate palace at Devalokam, Kottayam. He had face many hardships to through out his life he fought against the anti - Orthodox activities in the name of reformation and in the end he emerged victorious. The present Orthodox church in India owes much to him for protecting the faith of our fathers. On 8 September 1912 His Holiness Patriarch Abdhedh Meshiah consecrated him as Metropolitan Geevarghese Mar Gregorios at Parumala Seminary. He was appointed as the Metropolitan of Thumpamon, Kollam and Niranam dioceses. 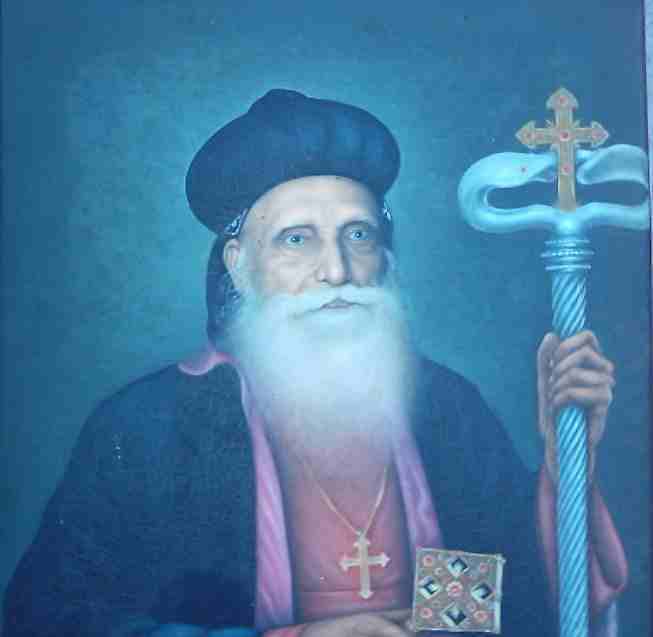 On 15 February 1929, with the Malankara Metropolitan Vattaserril Geevarghese Mar Dionysios as the chief priest, he was installed as the Catholicos of the East, succeeding Catholicos Baselius Geevarghese I, who had died in the previous year. Baselius Geevarghese II died on 3 January 1964 at Develokam Aramana and was laid to rest beside the Devalokam Aramana Chapel. His anniversary is 3 January. His Grace during the tenure of His Holiness Gheevarghese Mar Baselius II Catholicos worked as the correspondent to his holiness. In 1964 he took charge as manager and remained the same till 1971. The school has conceptualized the expectations of its founder His Grace Pulikkottil Joseph Mar Dionasios II a visionary whose mission was the upliftment of the poor and downtrodden through the medium of education. This Grace took charge as manager of Catholicate & MD Schools in 1979. After fulfilling his mission he returned to heavenly abode on August 19th, 1991. His Grace Thomas Mar Athanasios took charge as manager in 1991 and continued till 2002. His grace is the Archbishop of Chengannur Diocese and is secretary to the Holy Synod. His Grace Paulose Mar Pachomios, a native of Kerala, India, was born on May 26, 1926, the son of Mr. K.K John Kolathukalathil, Kurichy,Kottayam. After attending schools and colleges, he completed theological studies at the Orthodox Theological Seminary at Kottayam. He was ordained as priest in Jan 8,1974. his grace is Archbishop of Diocese of Mavelikkara. In 2002 Mavelikkara Diocese was formed by grouping 50 Churches out of Thumpamon, Niranam and Kollam Diocese. H.G. Mathews Mar Theodosius Metropolitan was born on September 15, 1955 as the eldest son of Mr. P. M. George and Mrs. Aleyamma George, Punchayil Veedu at Pandankary, Edathua, Alleppey (Niranam Diocese). After his primary education at Thalavady and secondary education at St. Thomas, Kadapra he had his college education at Baselios College, Kottayam from where he passed the Pre-degree examination in 1974 and received B.A. (English) in 1977. During 1977-1981 he studied at the Orthodox Theological Seminary, Kottayam taking his GST and B.D. degrees. He was ordained priest on 27 April 1982 by the late H.G. Joseph Mar Pachomios Metropolitan, the then Visitor Bishop of Bethany Ashram. After receiving Holy Orders, he continued his higher studies, with an M.A (History) in 1986 from the Kerala University and B. Ed in 1987 from Sardar Patel University. Afterwards, he served as Principal of Bethany St. Johns Higher Secondary School, Kunnamkulam from 1987-1996. Having joined the Bethany Ashram at the young age of sixteen, he was professed to the life of monasticism on August 7, 1985. In 1996,In September 2008 His Grace was elected as Bishop Designate. 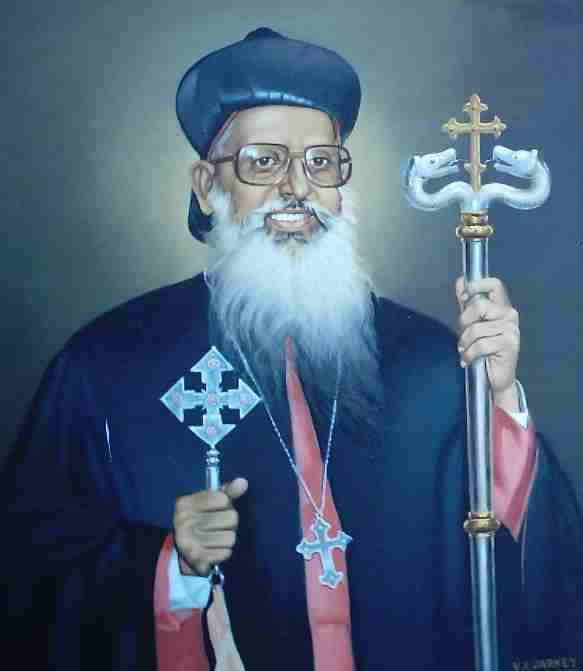 On December 4,2008 His Grace was professed Ramban of the Malankara Orthodox Church at Parumala Seminary Church. On February 19,2009 His Grace was consecrated Bishop at Puthupally Saint George Orthodox Church. 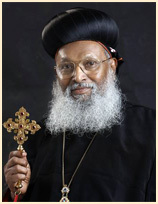 On May 1,2009 His Grace was elevated Metropolitan of the Idukki Diocese. He is also the Manger of Catholicate and MD Corporate Schools of Malankara Orthodox Church. His Grace was born at Elakkaranadu, a typical village in the Ernakulam District of Kerala, to a social worker Mr Markose and Mrs Saramma, Murimakkil. He had his primary education from the Government School at Maneed. After his schooling, His Grace studied at St Peter’s College, Kolencherry, and passed out with his bachelors in Malayalam. Coming to the theological studies, he did his BD and MTh degrees from the United Theological College, Bangalore. Thereupon, he took ThM and PhD qualify (old testament theology) from Lutheran School of Theology, Chicago. His Grace has submitted his PhD paper to Dharmaram Vidyashektram, Bangalore. Meanwhile, he studied syriac at St Aphrem’s Seminary, Damascus. 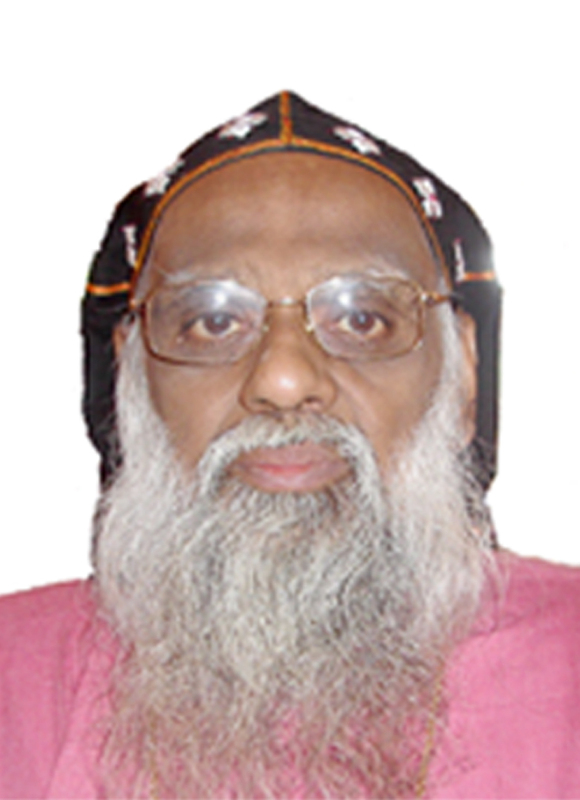 Mar Meletius got into the services of Our Lord being ordained a deacon in 1973 by His Grace Paulose Mar Phelexinos, the then metropolitan of Kandanad Diocese. He was ordained a priest in 1986 by His Beatitude Catholicos Baselios Paulose II. 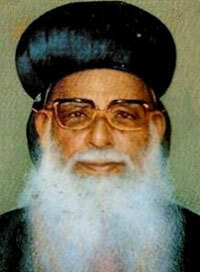 HH Patriarc Ignatius Zakka I, ordained him as Ramban on 22 December 1990 and as Bishop on 23 December 1990 in Damascus. Since then, he is serving the Trissur Diocese as its Metropolitan. As a priest, he was teaching at MSOT Seminary, Udaigiri. He was also serving as the vicar of St Mary’s Church, Valampur, for about four years. His Grace is also served as the president of Orthodox Christian Youth Movement.